Engine Idling: No Big Deal? Ah, the feeling of a cool cab! What better way to charge your phone and cool off than a little engine idling? Perhaps you should read the owner’s manuals for the vehicles in your fleet. Nearly all of them will tell you that excessive idling can cause carbon buildup and reduce oil life. In particular, Caterpillar recommends no more than 3 to 5 minutes of idling, and notes that there is no additional wear from starting and starting the engine several times a day. In other words, it’s better not to idle. One hour of idle time is equal to approximately 25 miles of driving. Think about that. If you’re using the odometer to measure service intervals on your fleet, you might be off by a significant amount. Translation: you might not be changing the oil often enough, causing undue wear and premature aging of your fleet! How do you measure excessive idle time across a whole fleet? This is the question asked by Davenport Energy, a utility that provides propane, gasoline, fuel oil and kerosene service for more than 21,000 homes and businesses in Virginia. 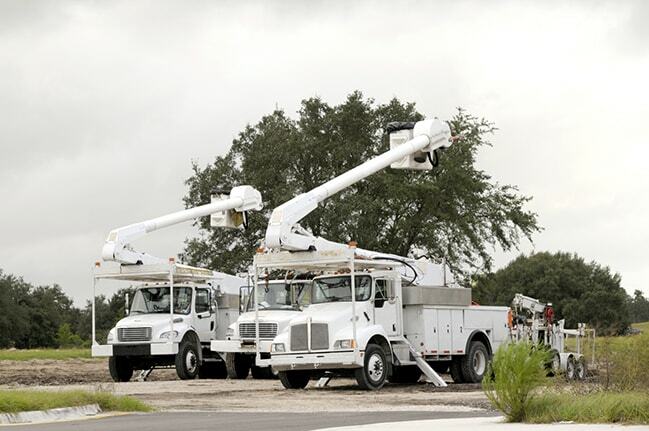 Already a CalAmp customer, Davenport Energy had installed the LMU-2600 in all of its fleet vehicles. In late 2013, director of operations Joe Pennesi joined Davenport Energy and started looking for ways to save money and improve customer service. Pennesi used FleetOutlook™ to gain information about how the fleet was used—and how it could be used better. Excessive engine idling stood out as an obvious target for optimization. By monitoring idle time, Davenport Energy was able to change driver behavior, reducing excessive idle time by 80 percent using FleetOutlook. The effect on the bottom line is obvious, not just from the standpoint of engine wear, but ongoing fuel costs as well. For more information about how Davenport Energy lowered fleet idle time, read the Davenport Energy Case Study.